If you go with what arrived on your PC then, yes, it is expensive. PC manufacturers make extra money by including software (known collectively as Bloatware) because vendors pay them. Norton and McAfee fully expect you to sign up when the trial period runs out because you don’t know that you have a choice. But there are companies that offer great anti-virus solutions for free! Why? Well, some do it for philanthropic reasons while others (e.g. Microsoft) do it because they need Windows to appear secure if they want people to buy it. Replacing your existing anti-virus with a free alternative is a relatively painless procedure involving 3 easy steps. Here we will cover installing Microsoft Security Essentials. Why MSE? Well, as I see it, Microsoft know more about their products than anyone else and have a vested interest in presenting Windows as virus free. Unlike the big boys in the virus world, it is not in Microsoft’s interest to have you worrying about viruses. I have also found MSE to take less CPU than some of the other offerings. Since most PCs come with Norton or McAfee installed the first thing we need to do is remove that, because running multiple copies of AV software is really bad news. Normally this is a simple affair, however do not take this step until you are ready to complete step number 2, otherwise you will be left completely naked – and for some of you that isn’t going to be anything we want to see! 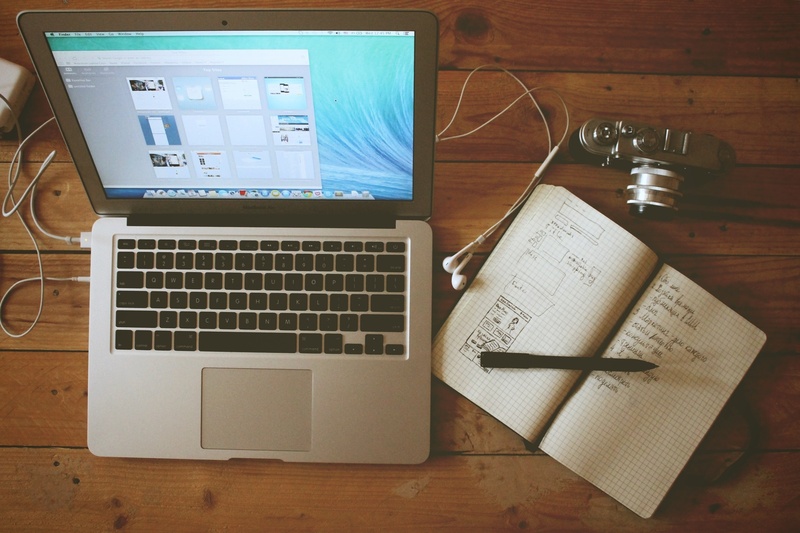 Wait for the list of programs to populate and then then locate your current AV software. Click on that program name to highlight it and then click Remove (Windows XP) or Uninstall (Vista/Windows 7). Follow the prompts to uninstall the software. Make sure that you reboot your machine after uninstalling to be sure it completes this process. During this step you will most likely receive warnings that your PC is unprotected. Don’t worry – we will fix that in step 2. Note: If you already have a paid subscription then uninstalling the program will not stop future payments - many companies default to charging your credit card each year "for your protection" and you will need to contact them to stop future payments. Now we are ready to install the Microsoft anti-virus software on your machine. 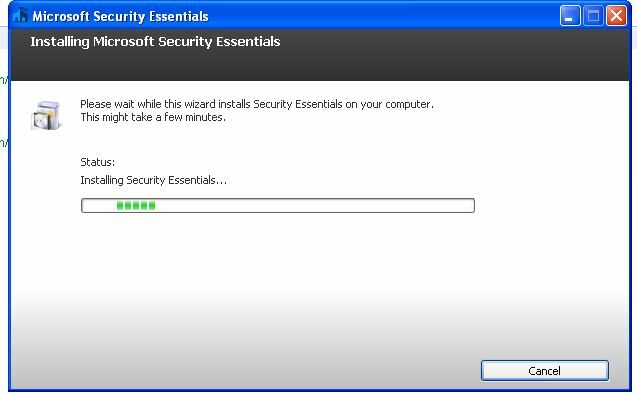 To do this open a browser and visit this link – Microsoft Security Essentials. Select the Free Download link and select the version for your Operating system. If you are given the option to Run the software – take that. If not, download the program to somewhere you can find it later, open that folder and (once the download is complete) and double-click to start the install. Follow the instructions on the screen (which involves clicking Next a couple of times, plus agreeing to the software license). Once the install is finished take the option to scan your machine for threats. Doing this will automatically download the latest virus definitions are part of the scanning process. Your PC will continue to show an “at risk” status until this first scan is complete. This first scan can take a while, depending on how large your machine is, however you can continue to use your machine while this is working. 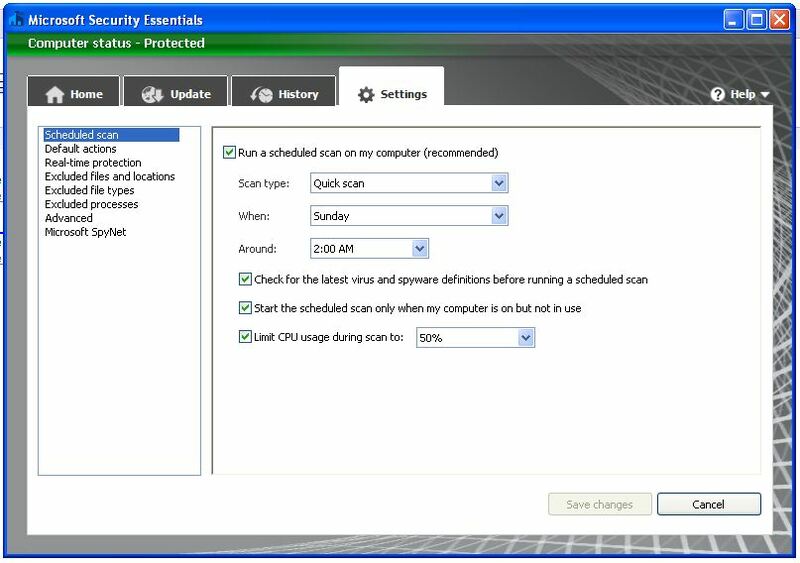 Finally, you are going to want to set up your anti-virus to automatically scan your PC on a periodic basis. This allows the scanning (which can slow your machine) to occur while you are not using the machine, and because it will download new definitions before each scan. To set this up run the software (it will already be running if you are following on from above) by clicking on the little castle in the toolbar. Select the Settings tab and set up a time when your PC will be on but not in use. Make sure that the option to check for the latest virus and spyware definitions box is checked. That’s it! Now you can continue to enjoy the use of your PC free from viruses and without fear that your subscription will run out. Better yet, you have just saved yourself $50 per year, all for 20 minutes work.